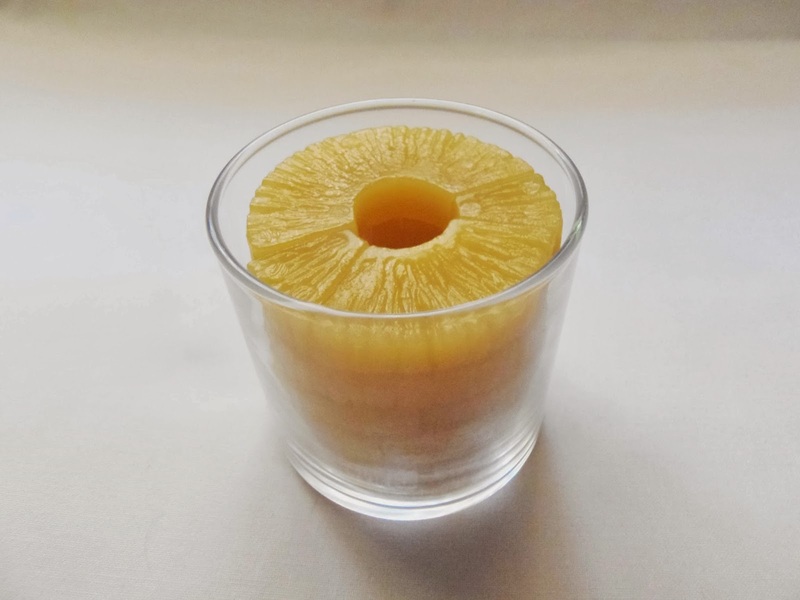 Pineapple is another interesting design from the Glass Puzzle collection, designed by the genius of Nob Yoshigahara and launched by Beverly Enterprises. There are eight different puzzles in this collection, each with a unique take on packed food in a jar. A piece of advice: don't play with them if you're hungry, as they're almost identical in appearance to the real thing which can be mouth-watering. The Pineapple, like all the other puzzles in the Glass series, comes in a real glass jar, about 7cm in height and 7cm in diameter (2.8"), and inside are 12 irregular-shaped pieces in the form of pineapple slices. The puzzle doesn't come already solved though, as the pieces are just randomly fitted for the packaging. This is a good thing, because you'll feel the need to have all the pieces neatly packed inside the jar. I noticed a very cool thing as I was touching the pieces for the first time. 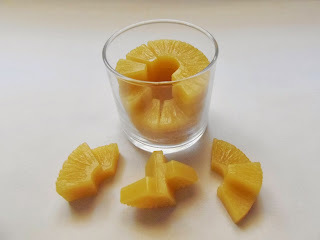 It almost felt as if you were in the presence of real pineapple slices, only with less moisture, but featuring the same rugged texture. This goes to show how far they went just to simulate the real textures of the food items in their puzzle series. These Glass Puzzles are also known for their high difficulty level, and the Pineapple is no different. It's a level 8/10, and even though it's not the hardest one in the series, it can still pack a punch. This one took me a little over half an hour to solve. 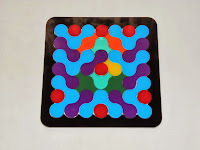 As far as multiple solutions go, I'm not sure it has many, because the one I came up with was the same as the solution found on PuzzleMaster's website, only reversed. I actually found an interesting fact that I had completely overlooked when I was playing with it and only saw it when looking at the solution. 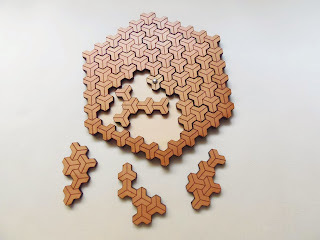 The pieces are a distorted view of pentominos - A pentomino is a piece comprised of five equal units, and there are exactly 12 different ways to build one. When analyzing the pieces more carefully, I found out that the 12 pieces in the Pineapple puzzle are indeed all 12 possible pentominos. It's fascinating how by looking at things in a different way you can miss the obvious things right in front of you. Nob was indeed a genius in the puzzle making and designing. I wouldn't have been able to discover all these interesting facts if I hadn't downloaded PuzzleMaster's solution. And I was just curious to see if my solution was the same as the official one. This proves how looking up the solution to a puzzle you already solved can still be positive even though you don't need to. There's so much you can learn about your puzzles this way. 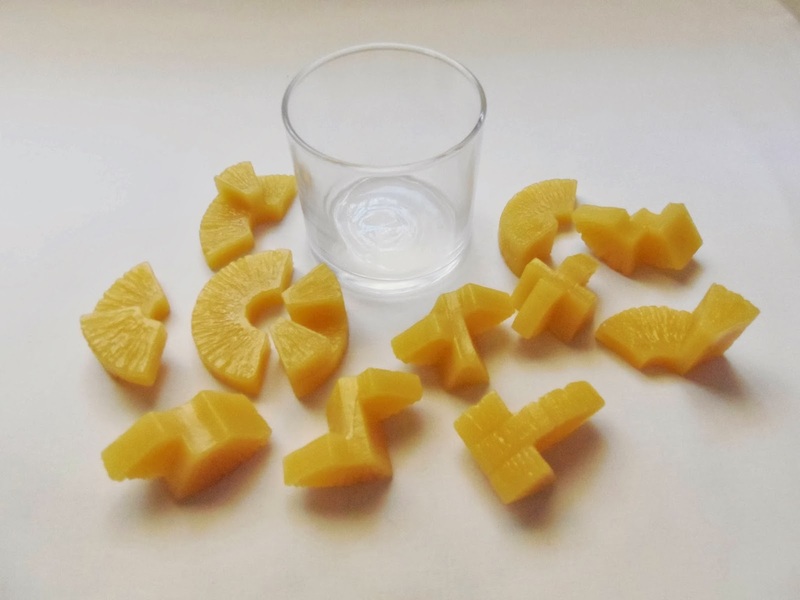 The Glass Puzzle - Pineapple is an amazingly designed puzzle, and an example of how making a slight change in the appearance of a puzzle can have a totally different outcome. I strongly recommend this one to all puzzle enthusiasts out there. It's a great puzzle to study visual perception and spatial cognition. Availability: You can buy the Glass Puzzle - Pineapple at PuzzleMaster for $16 CAD. You can also get all the others here. 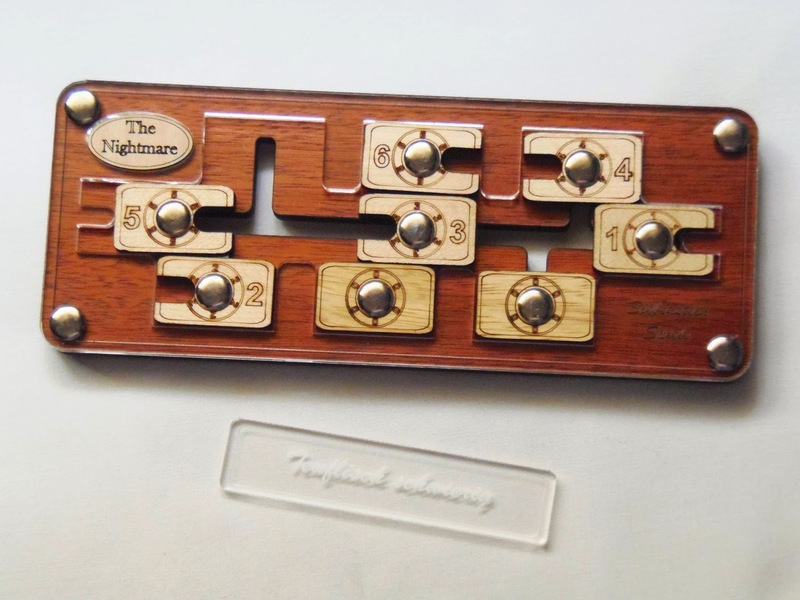 Prepare for your worst nightmare, as this new puzzle from the German manufacturer Siebenstein-Spiele promises to deliver you some sleepless nights. 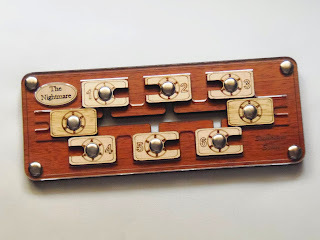 The Nightmare, designed by Jürgen Reiche, is a very well crafted slide puzzle with an interesting concept, but above all it's a rather challenging puzzle. Siebenstein-Spiele is rapidly growing as one of the most prolific puzzle manufacturers right now, since I can no longer keep up with so many new designs, each one better looking than its predecessor. 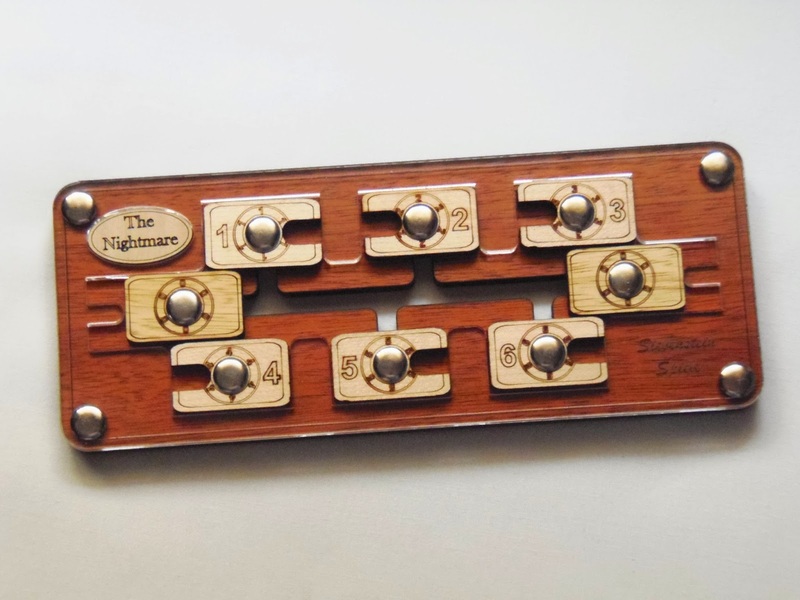 The Nightmare couldn't be more fitting for the description, because it's now one of my favorite puzzles from them, after the Safe, of course. So, does it play as good as it looks? Not quite, but nothing worrying either. 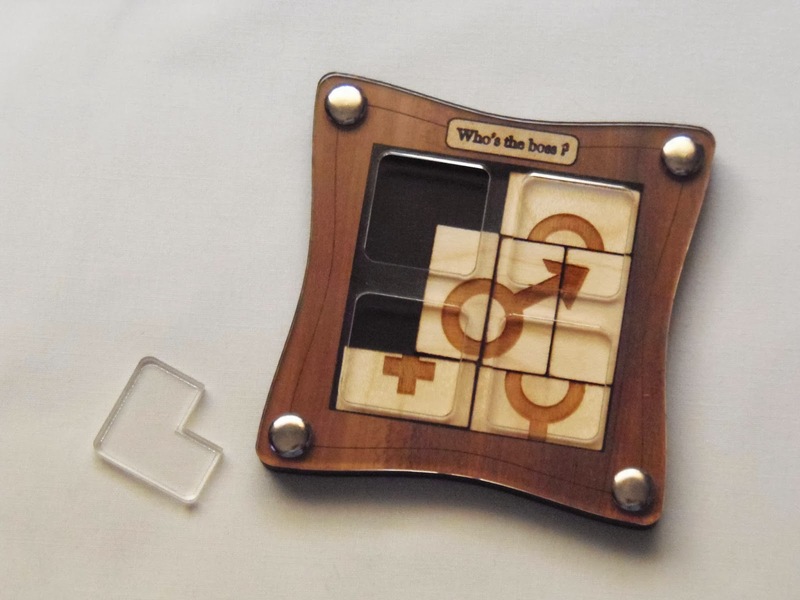 The puzzle is built from two types of wood, the board is a dark tone and the pieces are of a contrasting lighter color. The top is covered by a sheet of transparent acrylic glass and the metal screws, that keep the pieces in the sliding paths, give the puzzle this extra shiny and elegant look. 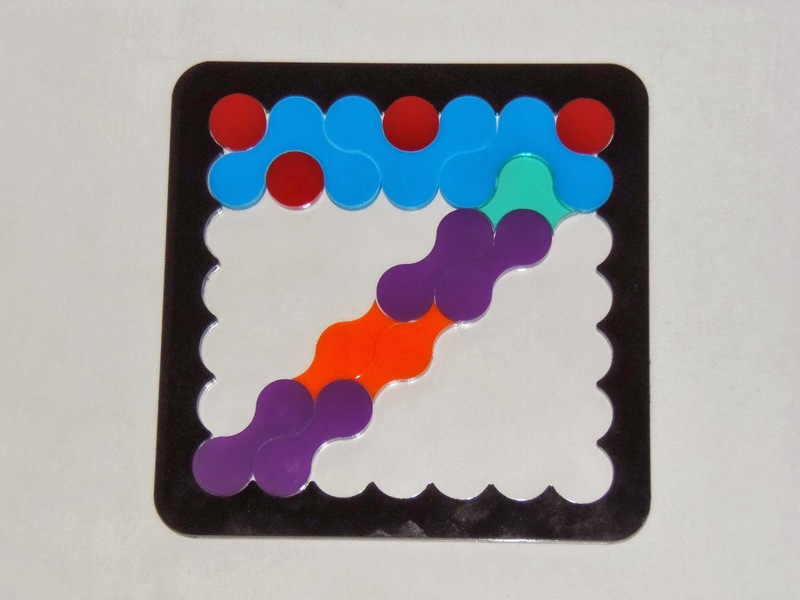 The challenge consists of eight sliding pieces, two of them being just blockers and the rest are numbered from 1 through 6. You start by removing the acrylic tile in the middle, leaving you with enough space for two pieces and a bit more. The puzzle comes already with the correct starting positions for all the pieces. In other words, they're sort of scrambled, but not too much, since each number is already in its layer. Your task is - you guessed - to reorder the numbers, as seen below. If you look closely at each of the numbered tiles, you'll see that they all have these entrances that perfectly fit the ends of the central path. The twist is that three of them have their entrance pointing towards the left and the other three have it pointing towards the right. 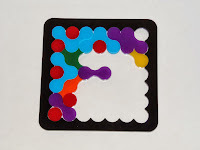 You'll have to plan ahead each movement and play with the little space you have available in order to slide each piece to its corresponding slot. You'll have to "rent" slots along the way for other tiles that don't belong there, since you won't be able to put them all in their slots right away. The movement of the tiles is not entirely smooth, due to the fact that some paths (where each tile goes) are tighter than others. This problem might fade away as you keep playing with the puzzle and the paths will widen a little. It doesn't happen so often that will hinder your experience, and may actually vary from puzzle to puzzle, but it can be annoying sometimes. Availability: The Nightmare is available at Sloyd, in Finland, for €23.50. 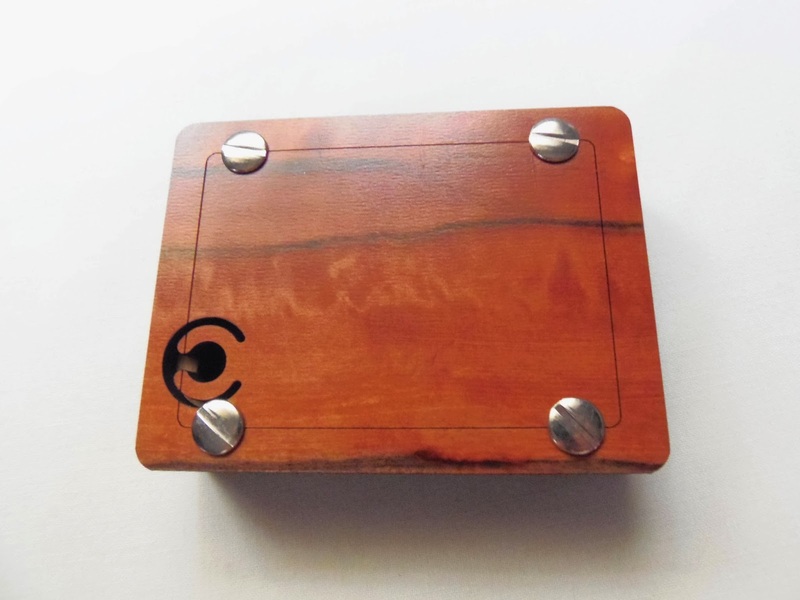 These puzzles are very well crafted with high quality and polished hard wood, giving it a sleek and elegant appearance, despite their low asking price. Each design is unique and quite intimidating actually. They come in four different levels of difficulty, but in my opinion, they're all pretty tough to solve, even the easier ones. You've been warned. The first of these Flabber Floovers I have for review is the Shackle, and the name couldn't be more appropriate. This one's supposed to be a difficulty level 2/4 in the manufacturers scale, but it was a pain to solve. Now, after solving it multiple times, I find it easier than the first time, but I would still classify it as a level 3. What makes the puzzle harder than it looks is its many parts, and each one plays an important part - no pun intended - in the solving process: the top, which has a hole and a knot passing through it; two rings with rope passing through them; a block attached to the end of the rope; a slotted bar which is the part you should remove from the puzzle and a bead that prevents the bar from getting easily freed. With so many things to worry about, what could possibly go wrong here? Featuring an exceptionally long rope, you've got yourself a recipe for disaster. 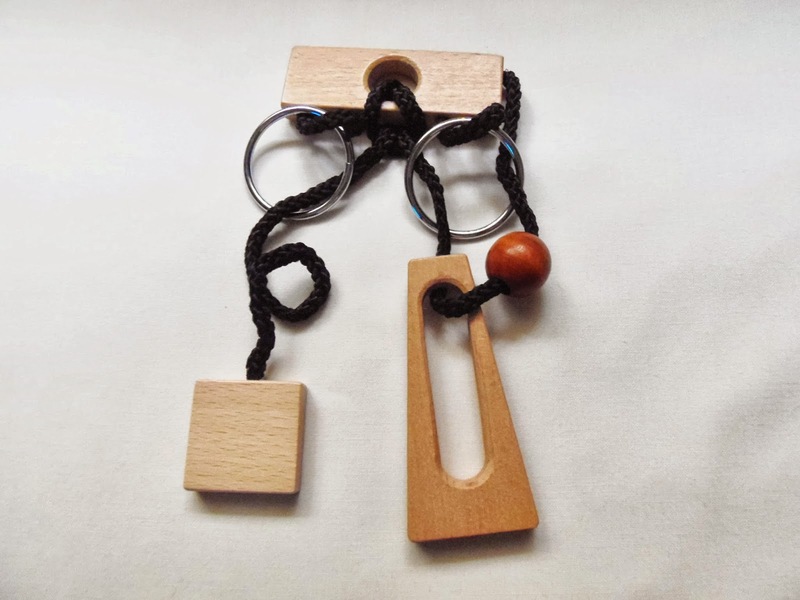 Before attempting to solve the puzzle, take a moment to study all the features of the puzzle and how the rope can be disentangled to free the bar. The first thing you need to tackle is the knot from the top part. When you solve that problem the puzzle is half solved. Now, you only need to figure out how to get past the rings and the rest of the rope, but believe me, that part is the easiest. I found it a little more challenging to reset the puzzle, and again, the hardest part was to make the top knot again. 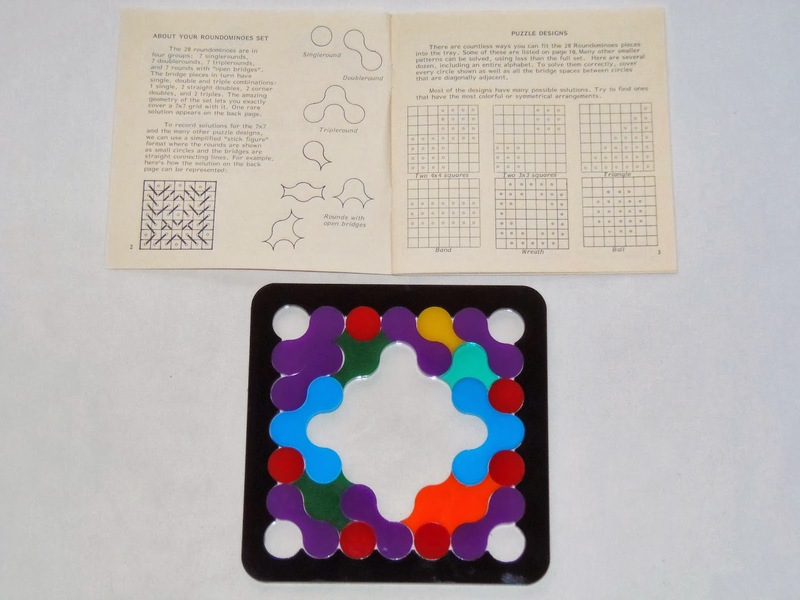 I recommend taking a picture of the puzzle in its original state to check how the knot is done. I don't know why I put myself in these situations. 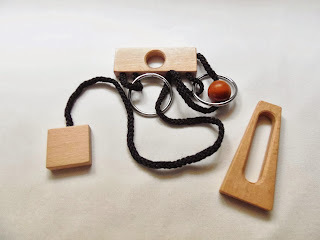 I find rope puzzles extremely difficult and yet, time and time again, I end up with a few of them in my hands to review. There's an upside to this though. Solving these puzzles is highly rewarding, because you know you tackled something you thought was far beyond your limits. Yes, you may be out of patience for a while to try another one, but I tell you it's totally worth it. 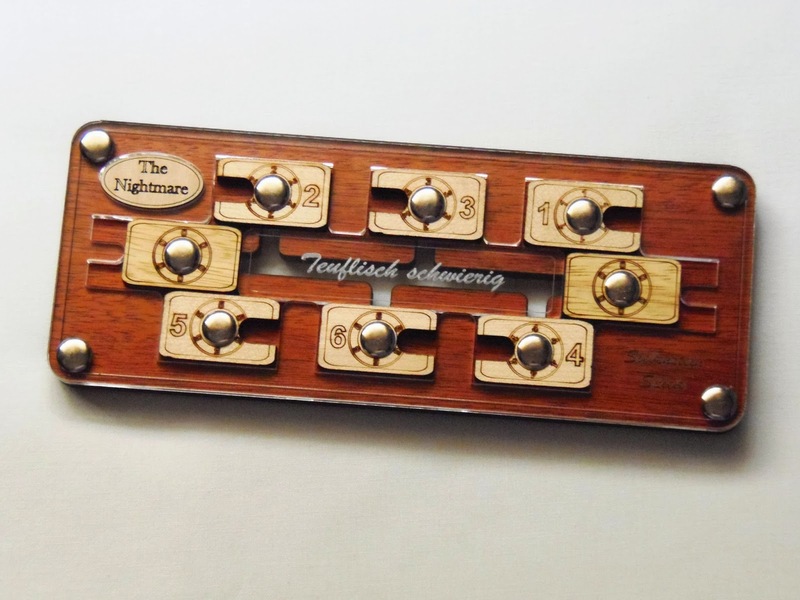 Availability: The Flabber Floovers - Shackle came from PuzzlesdeIngenio.com, an online Spanish puzzle store. Worldwide shipping available. 1 2 3. A strange name for a puzzle, right? Apparently, not only Jean Claude Constantin's puzzles are very original, but their names are quite unconventional sometimes. Well, the name is not random. It actually has a pretty good reason to be simply called "1 2 3". Read on. 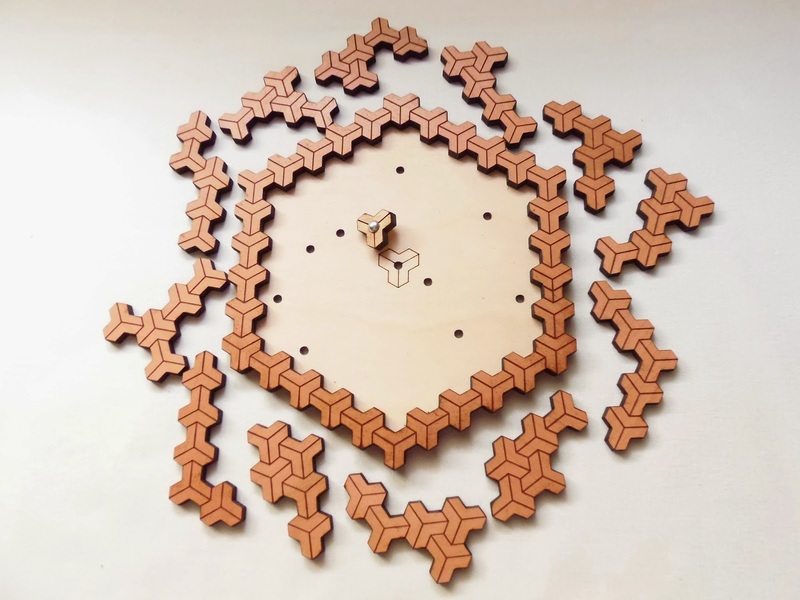 1 2 3 can be described as a hidden maze with movable parts, or a dynamic maze. There's a steel ball inside and your task is to guide it through the exit. Easier said than done, since you can't really see what's going on inside. 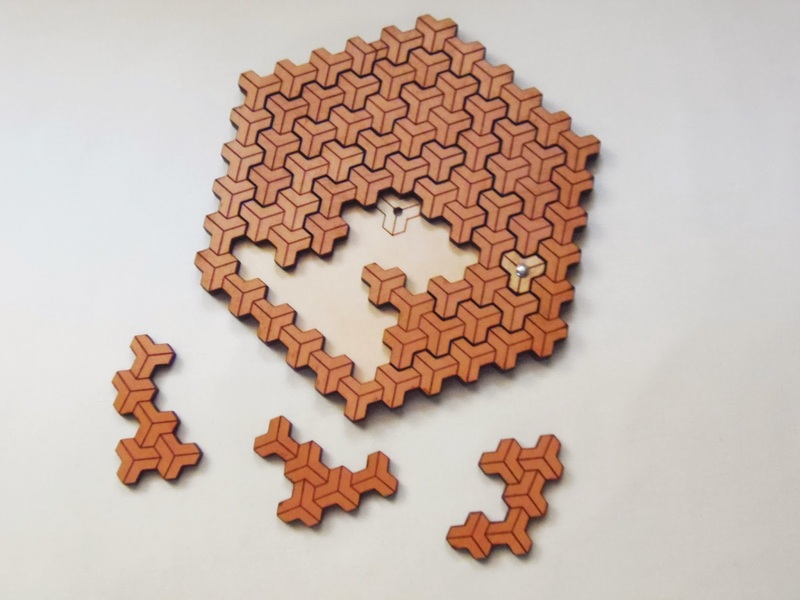 The puzzle is made from several plates of laser-cut wood stacked together to form a 2.7cm (1.1") thick block. 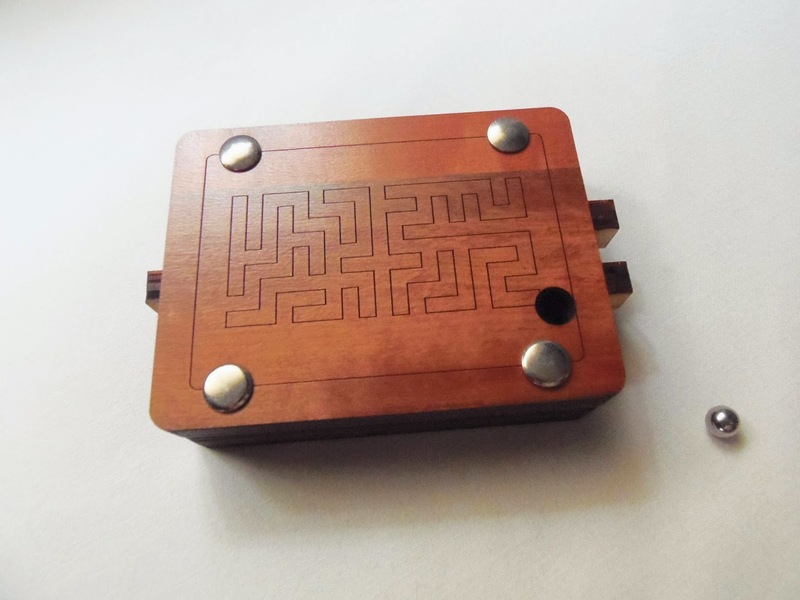 On the top there's this engraved image of a maze (looks more like two mazes side by side), but looking closely at how the puzzle works I believe the image is just there for decoration purposes, as it doesn't represent the actual mechanism. The other measurements are 9.5cm x 7.2cm (3.7" x 2.8"). The mechanism looks quite simple, and it is... But given the fact that you're only able to see a small part of it turns things a tad more difficult. 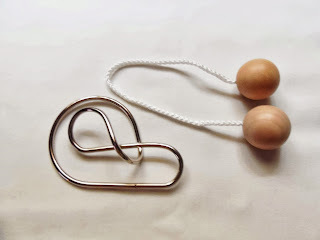 There are three sliding bars that move independently, and each bar has notches in different places that, when aligned with the other bars, allows the ball to move back and forth. Sort of like the notches you can see on pieces of a Burr puzzle. The ball is already inside the maze when you get the puzzle, so it's difficult to know where it is. 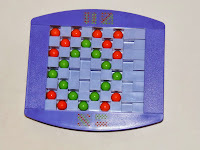 Removing the ball from the maze becomes then an exercise of random moves with the bars until you're successful. Surprisingly, this took less time than what I was expecting, only a couple of minutes. 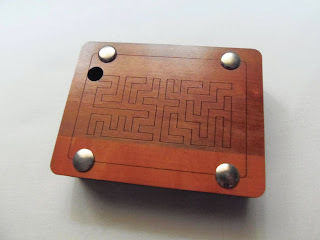 Once you have the ball out of the maze you can reset it by inserting the ball in the back opening. Here, you can have a little understanding of where the ball might be at first, but pretty soon you'll lose track of it and becomes yet another game of random moves and wishing on lady luck to intervene. This time, it took me a bit longer to free the ball, so I suspect the ball was closer to the exit on my first try. Even though you can't see the actual mechanism, it's perfectly possible to learn the necessary movements and shorten the solving time. I recently had a similar experience with Robrecht Louage's Escape from Alcatraz, so I know exactly what I'm saying. Hidden maze puzzles seem to defy the logic of solving them with more luck rather than skill. With practice, however, you can change those odds and be in control of the puzzle with just a few successful attempts. The 1 2 3 puzzle is surely a worthy addition to any collection and deserves at least a try. Even beginners can have a go and feel satisfied and rewarded. Availability: Unfortunately, the 1 2 3 puzzle is currently out of stock at PuzzleMaster. You can still check back regularly to see if it's back on stock, but in the meantime, you can browse dozens of other designs by Constantin. Another string puzzle, another tortuous moment for me this week... Or was it? The Snail is an interesting puzzle from Sloyd, made with strong 3mm nickel plated wire, which gives that extra smooth and shiny look that other metal puzzles can't do. When I first saw The Snail I immediately recognized the shape, since I have seen it before in a slightly different puzzle, the Derringer. A derringer, as you might know, is a pocket pistol, and looking at the puzzle at a different angle it does resemble the shape of a pistol. There's also a major difference between these two versions, and that's the inclusion of a ring above the two beads. Suffice it to say, the version with the ring is much more difficult, so The Snail might just be a simpler version for beginners. Unfortunately, I don't know anything about either version's designer, but I have to assume they were both designed by the same person. This puzzle is classified as a level 3/5, and despite featuring that fiendish string, I didn't find it so intimidating as I was expecting, so I reckon the difficulty level is just right. 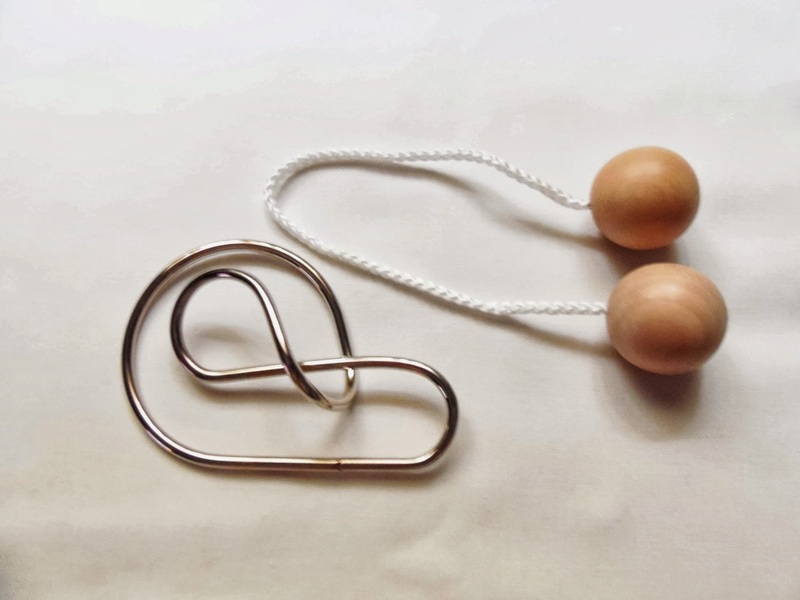 I wouldn't say this is the perfect puzzle for a beginner, because it can still be a bit challenging, but if you're used to solving wire puzzles I'm sure you won't have much trouble. I did find it trickier to get the string back in the frame, because it's not so easy to learn the steps the first time you solve it. You need to do it a few times in a row to fully understand what's going on, but it's a problem when you need to reset the puzzle in order to solve it again. From what I've seen of string puzzles, this has to be one of the easier ones out there. The Snail is right in the middle when it comes to difficult wire puzzles. It's not difficult enough to make you feel frustrated, but it's challenging enough to make you think a little harder of the steps you should take. I really liked this one. It was surprisingly easier than I expected and when it comes to wire puzzles, that's an awesome feeling. Availability: The Snail came from Sloyd, in Finland, and you can buy one for just €6. Siebenstein-Spiele is fast becoming one of the best puzzle manufacturers out there. Their puzzles always have something fresh in their designs. 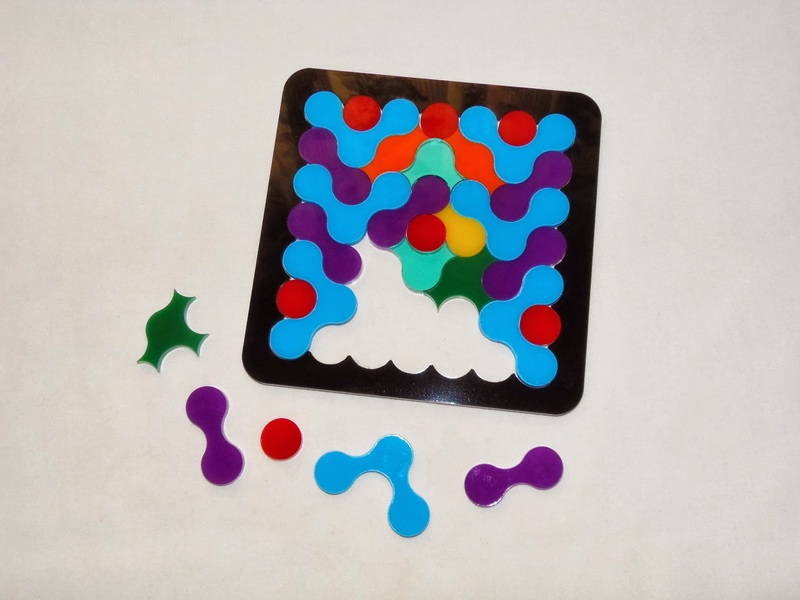 You might have seen similar concepts before, whether they're slide piece puzzles, packing puzzles or even interlocking puzzles, but their approach to visual appealing designs is their strong suit. 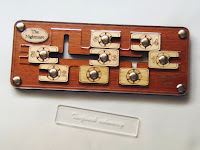 To my knowledge, all of the Siebenstein-Spiele mechanical puzzles are designed by Jürgen Reiche. Note that the company also publishes interesting board games, but even those are also designed by Jürgen, with the exception of maybe a couple of them. Also, judging by the number of new puzzles I keep seeing from him, it doesn't look like he's running out of ideas anytime soon. Jürgen must be a fascinating person to have a conversation with, especially if you're a puzzle enthusiast like me. One of the most recent additions to my collection is the "Who's the Boss?". 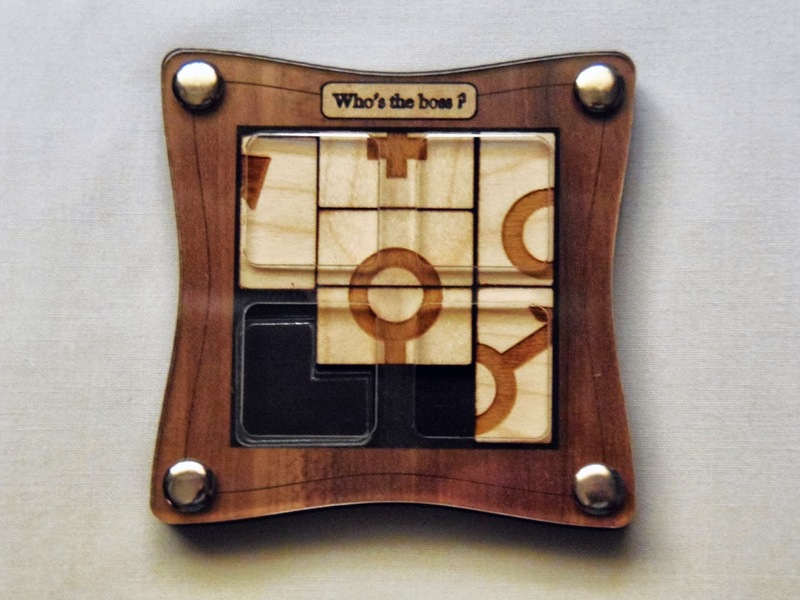 This is a very interesting slide puzzle with a twist, which you'll be able to find out as soon as you try to solve it. The puzzle itself is not very big, but you won't have too much trouble to move the pieces. It measures approximately 10cm in diameter (about 4"), and it's made from laser-cut wood, both pieces and frame, except the cover which is made from acrylic. 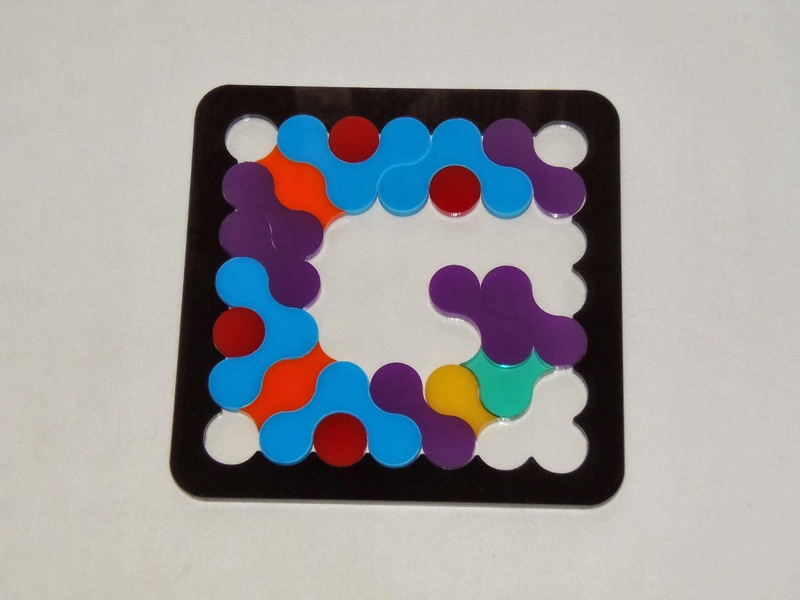 The materials ensure a very light puzzle that feels nice to hold and play with. The object of the puzzle might be a little confusing, at first... And this is where the "twist" comes into play. It consists of six tiles, three are displayed in the vertical and the other three in the horizontal. Each tile has a fragment of a symbol inlaid in it and, when arranged correctly, they will form the symbols for the male and female genders. The trick is that you can only rearrange the tiles to form one of the symbols at a time. 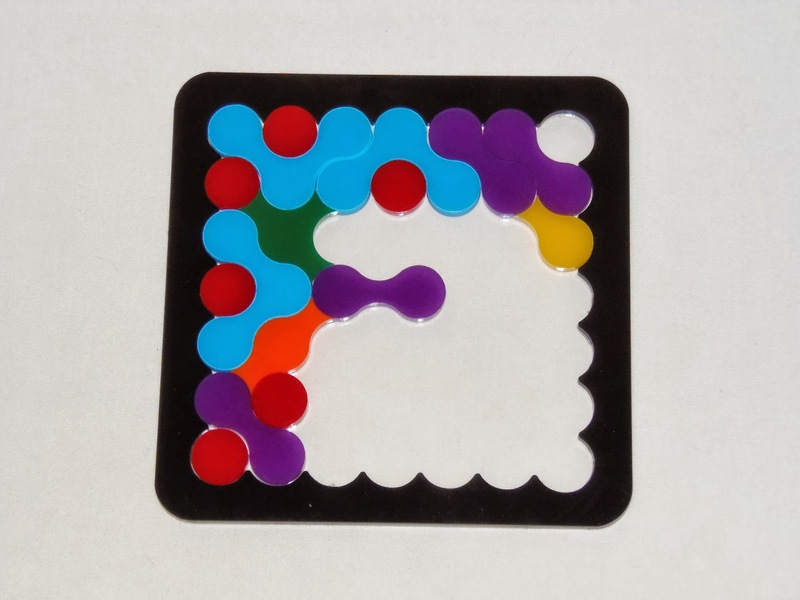 When you solve one of them, you have to slide the pieces around to form the other. It's just not possible to have the two solved at the same time. The empty space, unlike the traditional slide puzzles, is not the equivalent of one tile, but actually two. This seems like too much, but trust me, you'll find it too small when you're trying to solve it. Solving time will greatly depend on your slide puzzle skills. It took me about 10 minutes to solve the first symbol, but I found that to solve the other, you only need a few extra moves, cutting the solving process to a fraction of the time. Slide puzzles are among my favorite types of puzzles. Ideas like these that introduce you to a new way of thinking and how to go about solving them deserve all the praise they can get. 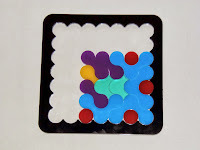 Siebenstein-Spiele always surprise me for their bold creations and, as a designer, Jürgen Reiche seems to outdo himself every time I see a new puzzle from him. "Who's the Boss?" 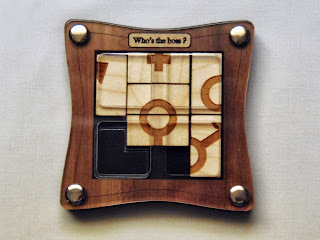 is a fantastic puzzle and I highly recommend it to anyone that knows and loves any type of slide puzzle. Availability: "Who's the Boss?" is currently available at PuzzleMaster for $20 CAD. 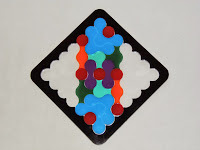 You can also find here a wide variety of puzzles from Siebenstein-Spiele. 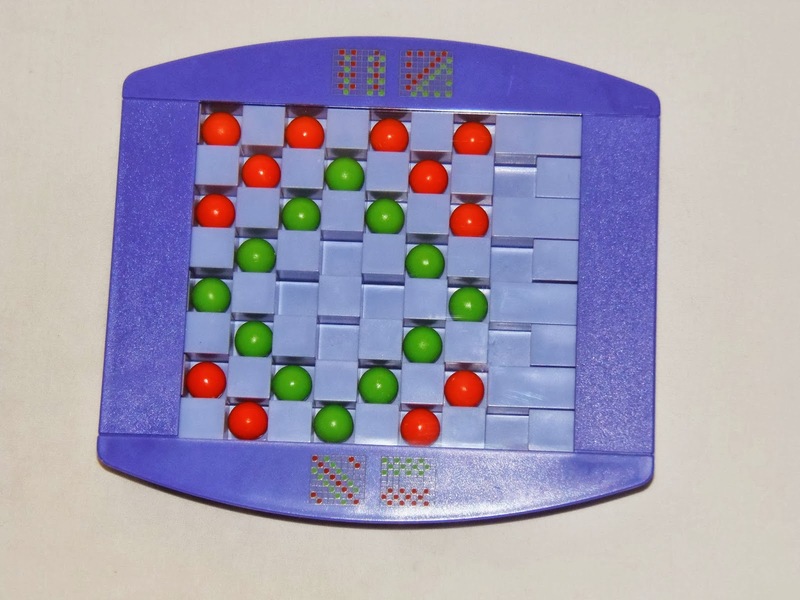 Switch Back is a fascinating marble game manufactured by Binary Arts (known today as ThinkFun) in 1998. 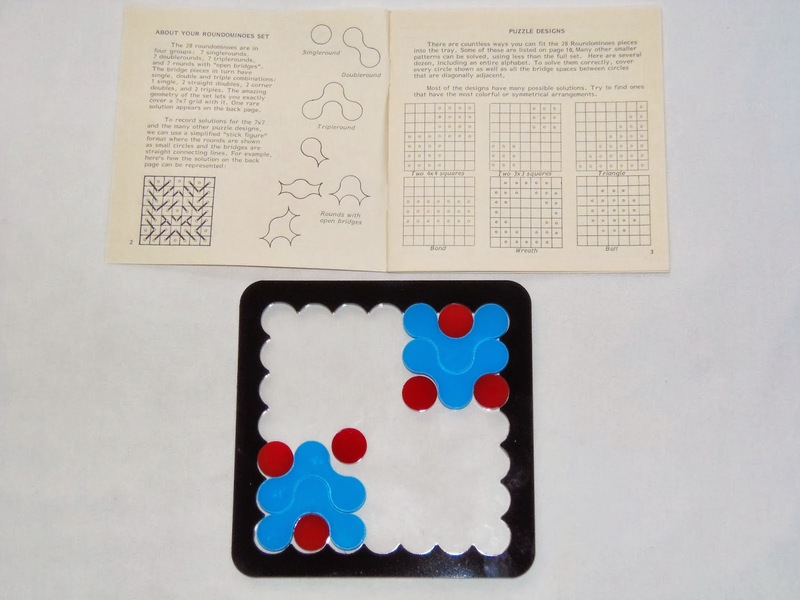 The game was invented by Ira Friedman, and you might know him from his other original and interesting puzzle, the Lockout. Two completely different designs, and yet both so engaging. 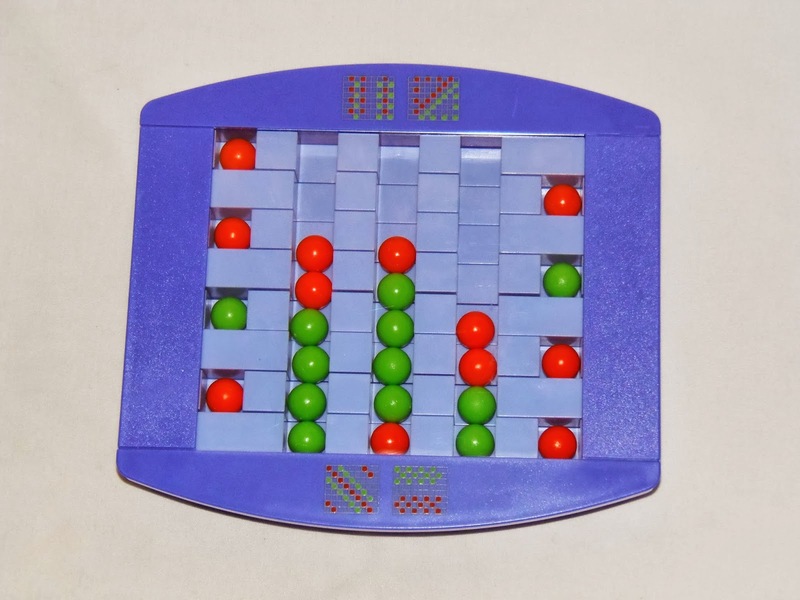 The Switch Back consists of 24 marbles, grouped in two different colors, orange and green, and you move them by shifting the eight slider bars left or right. 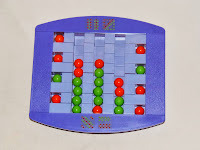 You also need to tilt the game, simultaneously, in the desired direction, in order to make the marbles fall in the lower or upper level spaces. 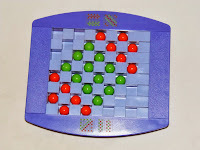 Getting the marbles where you need them is the difficult part, since it requires steady hands and a lot of dexterity. 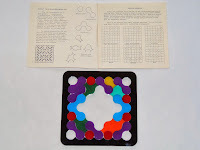 Included with the game is a booklet with 44 patterns for you to solve that vary in terms of difficulty. Four of them are already printed in the front of the frame. You also have space in the booklet to add four more patterns that you can come up by yourself. There's actually no limit as to how many patterns you can create. You're only limited by your creativity. My guess is you'll be already tired of it by the time you reach the final pattern. Solving a specific pattern is no walk in the park. It took me between 10 to 15 minutes to solve a single one, so in the end it all comes to your level of patience. My advice is to solve two or three in a row, at most, and take a break for a while. You'll return with a fresh mind to tackle the rest in no time. 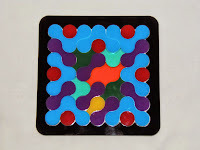 The hard part when solving a pattern is accidentally move some marbles when you only want to shift one or two of them around. Each slider takes four marbles at a time, so when you align it with an upper or lower slider, all four of them "want" to get out. That's when steady hands come in "handy". Patting on the back of the puzzle helps, but it's no perfect solution. Practice makes perfect, though, so keep at it and you'll get better eventually. 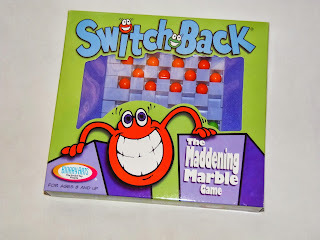 I absolutely loved Switch Back. Maybe because I love all types of puzzles that allow you to make different patterns... It makes me really miss Binary Arts. It seems they had more variety back then. More originality. More creativity. More everything... If you don't already own this great game, I truly recommend it to any puzzle game enthusiast out there. Availability: You can get the Switch Back marble game at Sloyd, in Finland, for €18.15. Worldwide shipping available. 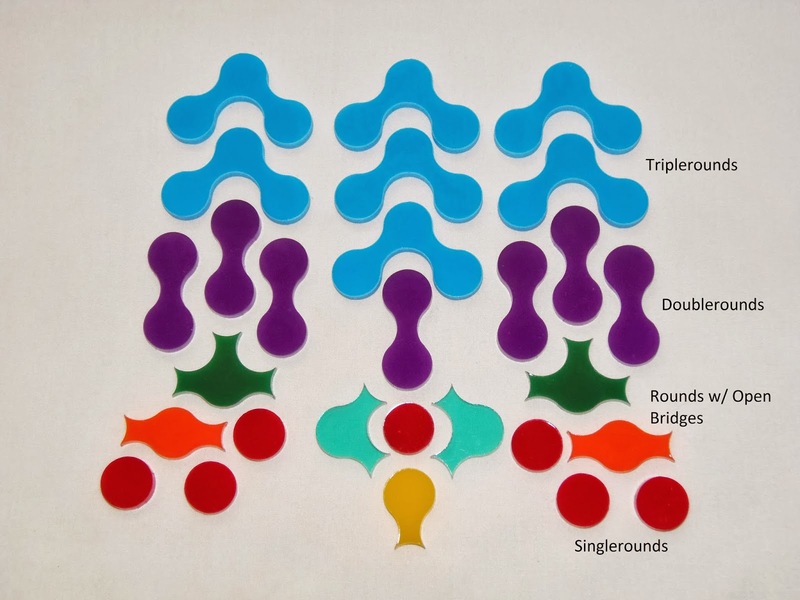 If proof was needed that Jean Claude Constantin has the most varied puzzle ideas you ever saw from a single designer, then the Marguerite is the perfect example. It has such a simple concept it's hard to believe why this hasn't been designed before. The puzzle is very well made, from laser-cut wood and despite its large petal count, it's actually pretty light. The reason is because the type of wood used for laser-cutting is much less dense than regular wood. Manipulating the puzzle feels effortless and natural, and the movement is smooth. The dimensions are actually about the same as the common Daisy, with a diameter of 10cm (4"). 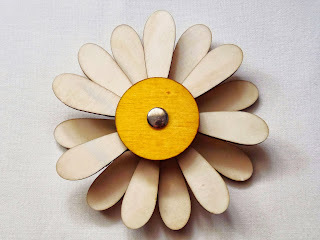 It's indeed a very good representation of a Daisy (Marguerite in French). 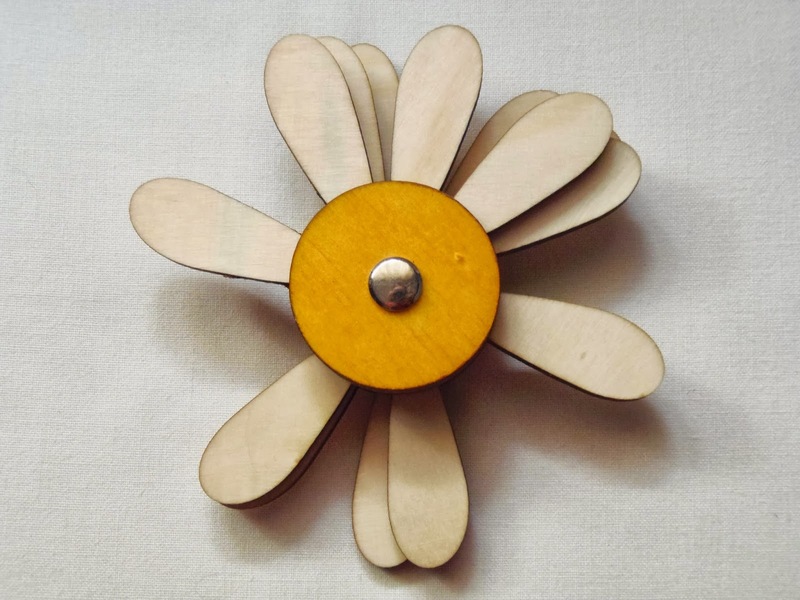 This Marguerite consists of five layers, each with three petals, for a total of 15 petals. 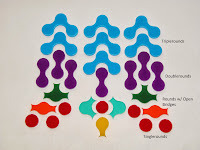 Since each of the five layers move independently, the puzzle can be mixed up very easily. Each layer can also move freely in 360º. The hard part, as you might have guessed by now, is to get all the petals evenly spaced when viewed from the top. Rated as a level 8/10, I was actually expecting a tougher challenge, but was able to solve it within five minutes. What makes the puzzle seem more complicated is that the petals in each layer have a distinct configuration from each other. In other words, the spacing between the three petals in each of the layers is always different, so you have to constantly keep moving the layers until a perfect Daisy is visible. Marguerite is very cleverly designed and, for a supposedly hard puzzle, it's in fact pretty accessible to beginners. 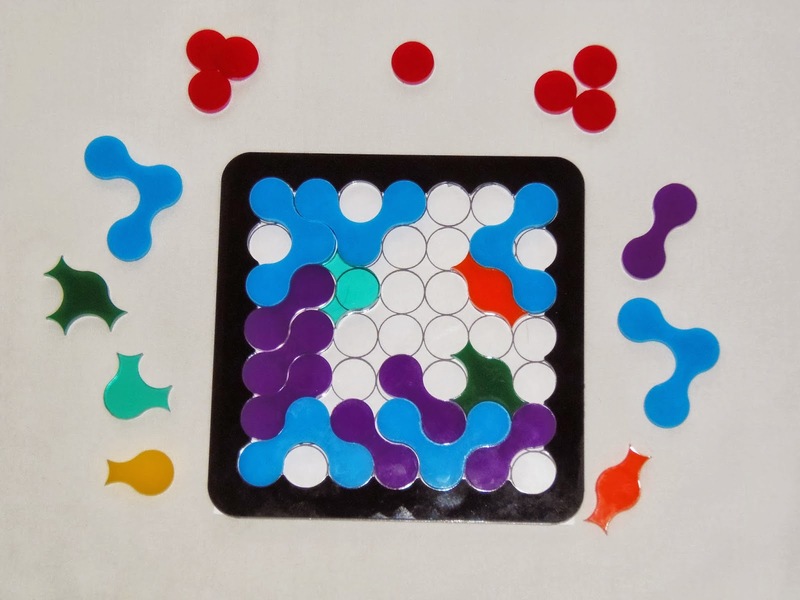 Constantin might be one of the best Packing Puzzle designers out there, but his designs and original ideas aren't, fortunately enough for us puzzlers, confined to that type of puzzles. Availability: You can get a copy of the Marguerite Puzzle at PuzzleMaster for $14 CAD. If you think this is too easy for you, there's a harder variation of this puzzle available, the Sonnenblume. You can also browse other designs from Constantin here. If there's one type of puzzle that I like more above all others is Packing Puzzles. These are so varied in shapes and sizes that you could focus your entire collection on them and still have thousands of different designs to chose from. There's one designer/craftsman that is a master in creating Packing Puzzles, who goes by the name of Jean Claude Constantin. His designs differ so much from each other that it's hard to believe one man can come up with so many ideas. In fact, I know that he is currently producing an average of about 70 unique designs per year. That alone is enough to put him in the top of the most prolific puzzle designers out there. 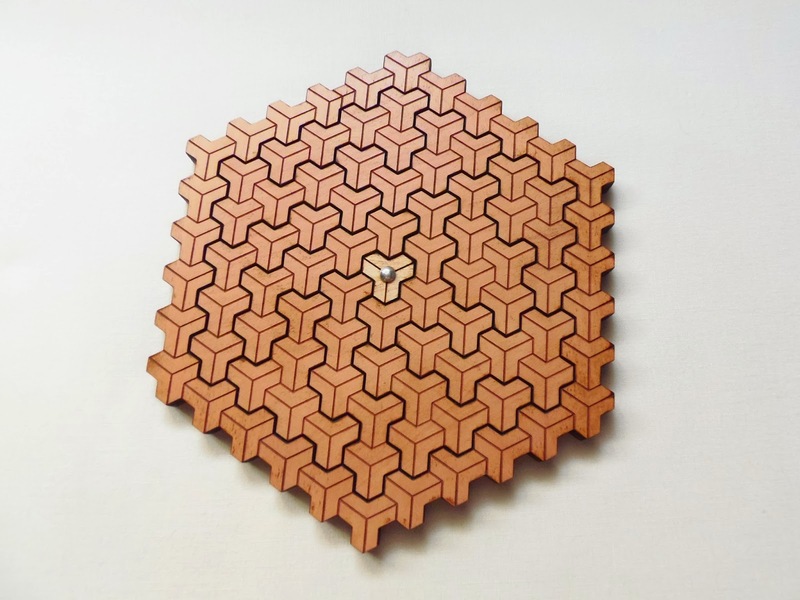 One of the latest additions to my collection is the Escher Cubes, an impressive wooden puzzle with a mesmerizing design inspired by one of Escher's patterns. In short, this has to be one of the hardest Packing Puzzles I've tried in my three-year blogging career. I'll explain in more detail below. The design is stunning and makes this incredible 3D visual effect of cascading cubes. At first sight, it looks like the pieces are divided into single units, but a close inspection reveals something much more interesting. The edges on some of the units seem to show a bold line around them. This is how you differentiate where each piece ends and the other starts. 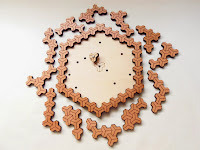 The puzzle itself consists of 12 distinct laser-cut pieces, each with a different arrangement of five units joined together. The pieces themselves are laser engraved with the pattern only on one side, so that means you can't flip them and use the other side. 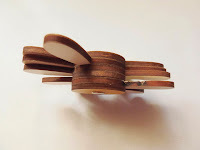 At the center, you'll notice one single unit with a metal pin attached. 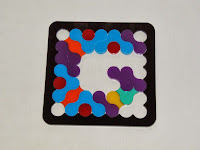 What makes this puzzle so darn difficult is that there are these holes scattered around the base of the tray where you can place the single unit. The object is to place all the pieces into the tray so that no empty spaces shall be visible. Sounds difficult? It should be... 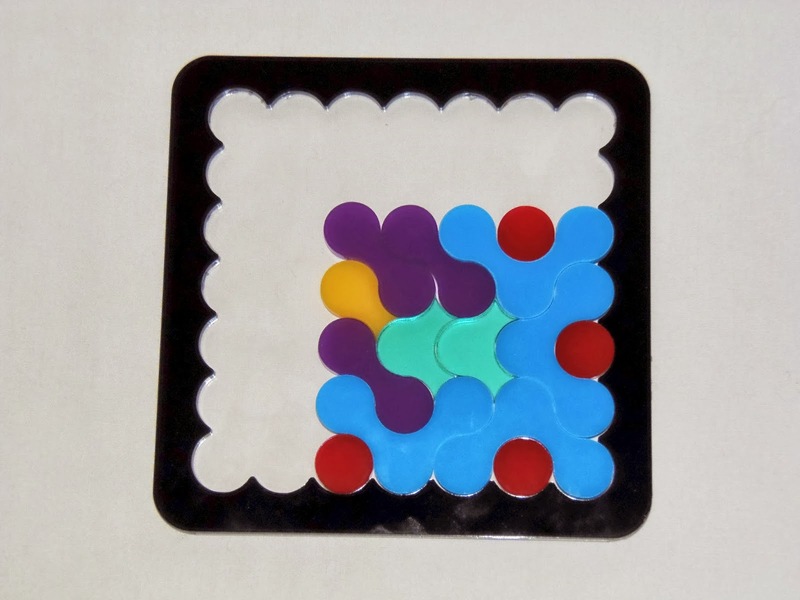 There's a total of ten holes dispersed by the tray, so in theory, ten different solutions, although there could be multiple solutions for each of them. I can tell you right now, finding just one is a hell of a challenge. I've been solving Packing Puzzles since I started my collection back in 2008, and since then I have acquired enough solving skills to solve any of them, no matter how difficult they are... Or so it seemed. 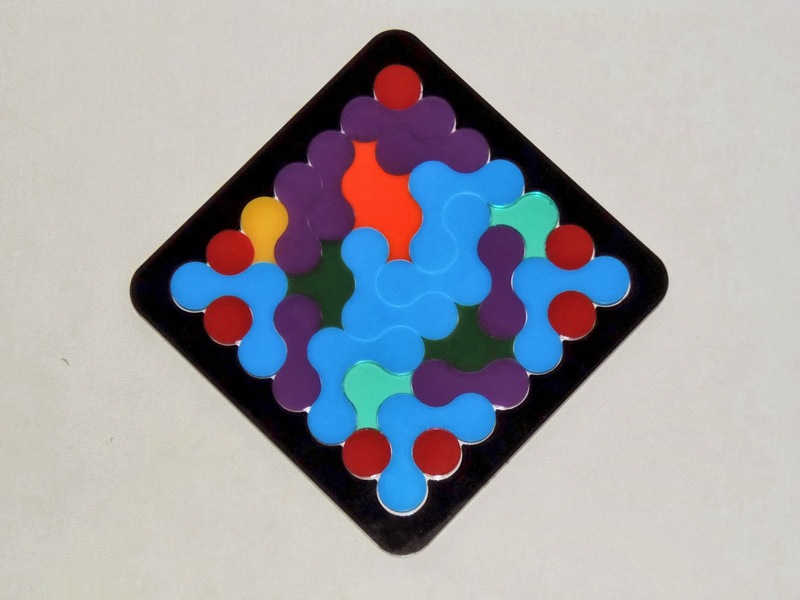 I have spent, over the last few days, several hours trying to solve the main challenge, which is placing the single unit at the center and place all the pieces around it. I eventually managed to accomplish that, but since there are more challenges, I wanted to be able and solve at least another one. My efforts, unfortunately, were in vain, as I couldn't solve another challenge before this review. I even tried to solve it without placing the single unit first, to see if I could end up with one empty space that could match one of the hole's positions, but no luck whatsoever. I ran out of patience for now, but I refuse to give up. I want to see, at least, another challenge solved before I store this puzzle in my collection. Availability: I got my Escher Cubes from Brilliant Puzzles, but it's currently out of stock, so check back their website often, and it should be available again soon. In the meantime, you can always browse others designs by Constantin here. 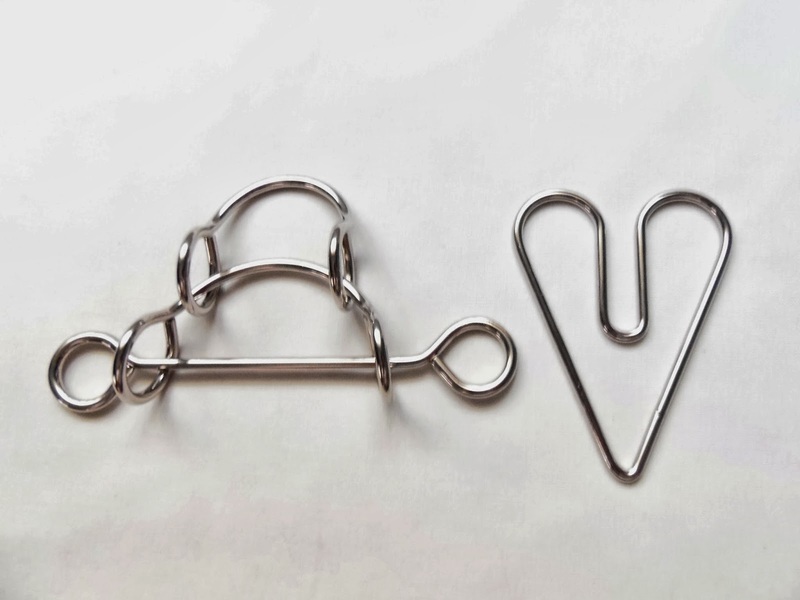 The Captured Heart is yet another nice wire puzzle from Sloyd, in Finland. It's manufactured in high quality 3mm nickel plated wire and are much easier to handle than the Tavern puzzles. The surface is smoother and the plating finish ensures that you won't have to worry about that characteristic metal smell in your hands. 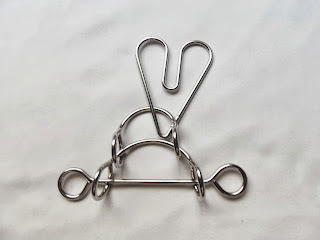 The design is a little similar to another wire puzzle I had previously reviewed, the Heart Breaker, except this one is much trickier. 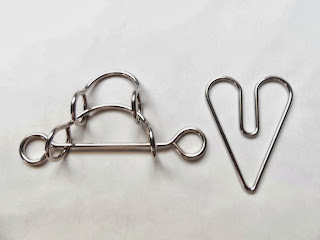 One of the differences is that the Captured Heart has three parts, not two. The inclusion of a third part adds a much higher level of difficulty, but if you previously solved the easier version, you'll notice that the solving process is somewhat related between the two versions. The goal is, of course, to remove the heart shape from the wire frame. The difficulty level is 3/5, and even though I had solved the Heart Breaker and had an idea of what the solution might look like, I was stumped for a while. I reckon it took me about 15 minutes to take the heart out of the frame and since the steps weren't done right after each other, it also took me another 10 minutes to fully understand how the solution worked. 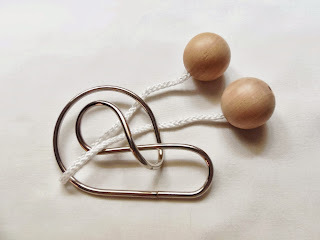 I noticed that the solution is also a little more complex than the Heart Breaker, with a couple of extra movements not as straightforward as you might expect. Overall, The Captured Heart is a very satisfying puzzle with a challenging solution for beginners and experienced puzzlers alike. It's a perfect puzzle to pass around to your friends and family and get them hooked. Availability: You can buy The Captured Heart at Sloyd.fi for just €6.05. Two years ago I reviewed my first Glass Puzzle by Beverly Enterprises, the Rice Crackers. This is a unique collection of 8 puzzles with food as the main theme and were designed by the great mind of Nob Yoshigahara who, as many of you might know, designed many popular Cast Puzzles. 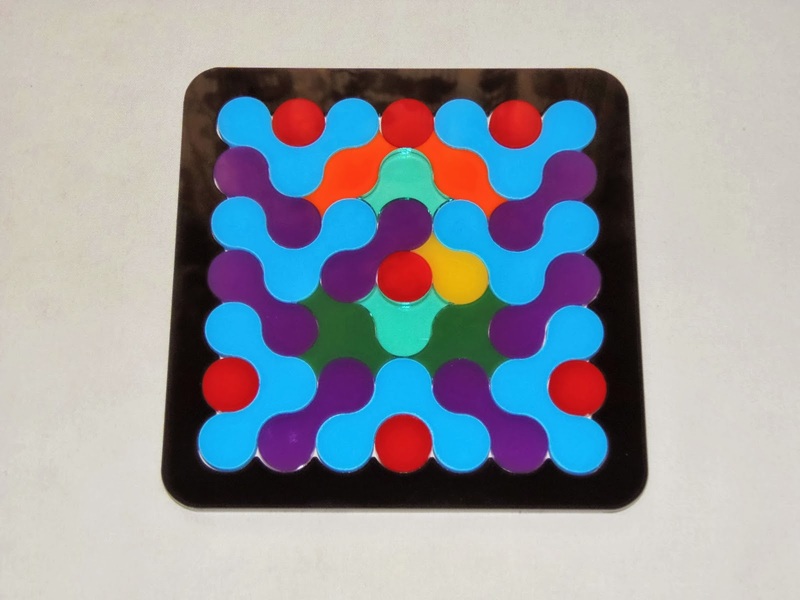 My second Glass Puzzle is also one of the most striking in the collection, the Pudding. 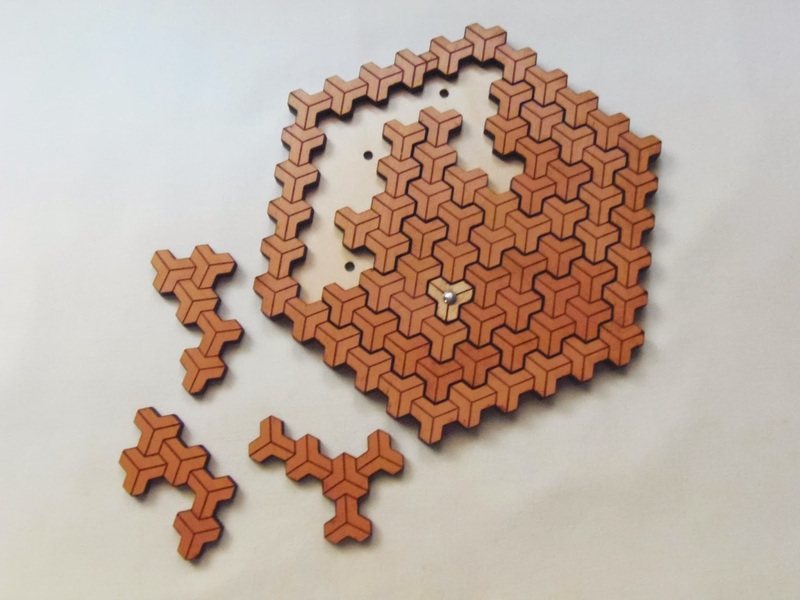 This puzzle is so well built that can make any mouth water. The design is flawless, and at a distance it could very well fool you for the real thing. Don't go trying to solve it with an empty stomach or you'll be craving pudding for a while. The concept of the puzzle is very simple. You start by placing the base inside the bowl and place the pieces in multiple layers until you can finally fit the lid on the top. The bowl is real glass, not plastic, and has these elaborate details, like you would see on a bowl in a fancy restaurant. 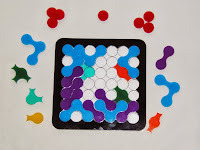 The pieces connect to each other sort of like LEGO, with protuberances and cavities. 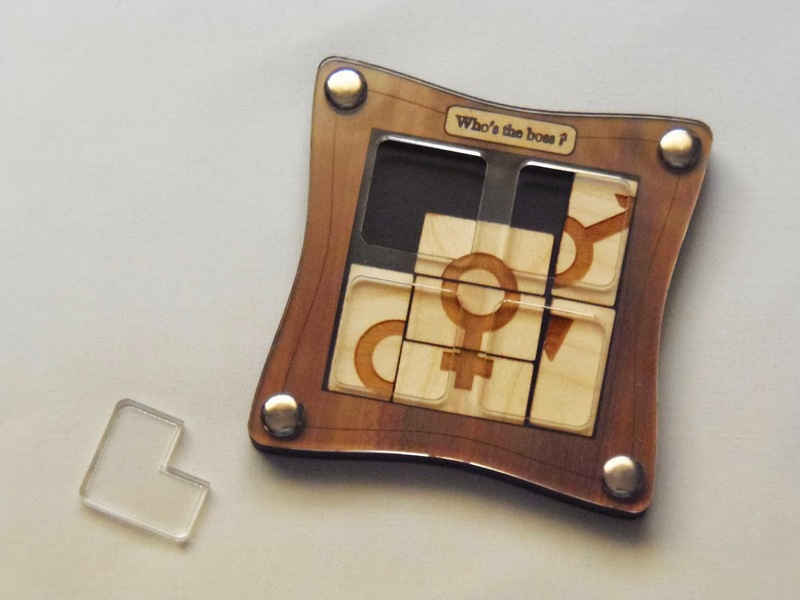 The puzzle consists of three layers, each with four different pieces that will get progressively smaller. Because of this fact, it's very easy to distinguish where each piece goes. However, it won't make the puzzle any easier. "Preparing" the pudding is very challenging, and even knowing that this is a difficulty level 8/10 puzzle, I wasn't expecting it to be this tough. I tried to solve it in the first couple of days when I first got it, and the closest I got was having all three layers neatly packed. 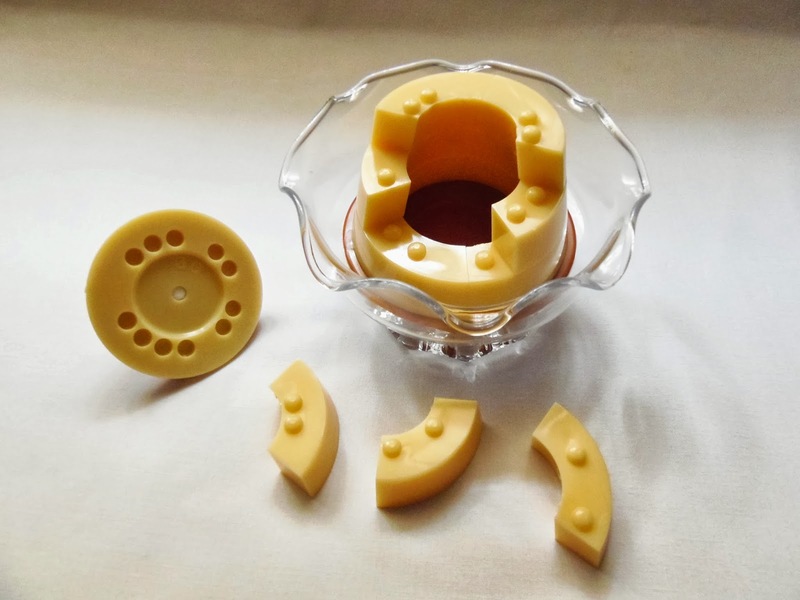 The problem was always to place the top piece, the caramel, which refused to fit no matter which pieces I swapped in the process. I was getting quite frustrating until it hit me: Spoiler - not every cavity needs to fit in a correspondent protuberance. You can leave empty spaces in between - End of Spoiler. After realizing this small, yet important detail, the puzzle was all but solved. I'm not really sure, but I believe there's only one solution for this puzzle. The Glass Puzzle - Pudding will captivate the attention of the most distracting person and will deceive many, making them hungry for a pudding. As an assembly puzzle, while being very tough, it's not even the most difficult, so you can have an idea of how challenging these Glass Puzzles can be. It's also a collection that begs for all of them to be owned. It'll make any shelf or desk shine. 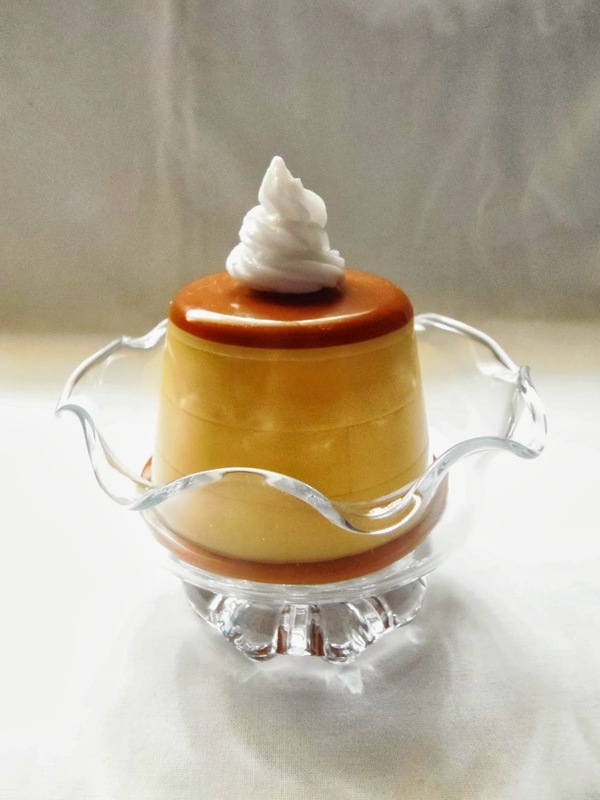 Availability: You can find the Glass Puzzle - Pudding, and all the other seven at PuzzleMaster.